There are some people out there who chase the fountain of youth for their entire life. They spend hundreds on creams and solutions that promise to tighten their skin and turn back the clock. And those creams that claim to have natural ingredients are usually chocked full of man-made chemicals, with unknown effects and temporary, if any, benefits. But, what if there was a way to reduce wrinkles that costs mere pennies per day—and that this “fix” had been proven effective? There is – aloe gel from an Aloe Vera plant. Aloe has been used medicinally for centuries and one of its many uses is in topical skin care. But as a wrinkle cure, the solution is far more than skin deep. Aloe Vera hydrates and rejuvenates, making skin more flexible. According to scientists with the Department of Dermatology of the Seoul National University Boramae Hospital in Seoul Korea, taking a small amount of aloe vera gel on a daily basis can significantly improve skin elasticity and reduce wrinkles. Their research took thirty women over the age of 45, giving one group a small dose of 1,200 mg of aloe gel per day, and the other group 3,600 mg of aloe gel per day. The women’s baseline status was used as a control and their wrinkles and elasticity were measured before and after a 90 days period of supplementation. The results of the research weren’t only promising, they were pretty remarkable. All of the women experienced a decrease in wrinkles, with the women in the lower-dose group also seeing improvements in facial elasticity. All women also saw an increase in collagen production. But before you run out and get a giant tub of aloe vera gel or the largest aloe plant you can find to reduce wrinkles, reread those dosage amounts. The low dose of 1,200 mg is equal to only one-quarter of a teaspoon. So, a small, healthy aloe plant could keep your skin healthy for months to come. And it could do this without you have to rub unknown, lab created chemicals on your face. Burn relief. Very popular among home remedies for sunburn. Remember, you don’t have to buy an aloe product to get these benefits. Grow your own aloe in moderate to bright light with low water and you’ll have another addition to your natural medicine cabinet. It’s time to reduce wrinkles with nature! Thanks to dermalmd wrinkle reduction serum, it never fail to give me good skin care! It is really good and i like that. Thanks this time for giving a good results. I got DermalMD Wrinkle Reduction serum as a gift from my sister because my skin didnt not looked good. After just a week my skin looks much, much better and healthier. Now I look younger and better. Very hight quality product for very low price. I really liked and and can only recommend it! Aloe vera — also known as “The miracle plant” has many benefits. It’s use and benefits can be traced back to Egyptian times. I drink 60 ml of pure organic aloe vera every day as a tonic and feel energized as well as looking young for my age. By the way I am 59. Just under the skin there is a yellow film..this can be toxic?? But for sure it is a laxitive. I have a question : some weeks ago I put in my juice extractor 2 unpealed leaves of Aloe Vera, so with the green skin and I put the juice in a plastic bag to make ice cubes in the freezer. I have now more or less 40 aloe vera gel cubes in the freezer. Could I take that everyday? The question is that I did not take the green skin off. Is it no t toxic??? Thank you for your help. The cells in your body respond to your perceptions and beliefs taking environmental signals – positive signals = happy cells – bad signals = withdrawn cells. Simply by changing your perceptions and beliefs you can prevent a great deal of cell damage in your body. Aloe will work but must be enforced with a positive belief and perception – if you do not believe it will work then it probably will not. Aloe can be taken both internally and externally. I blend a third of the leaf (gel) with 2 cups of orange juice and drink it before going to bed at nights, it make bowel movement better and it cleans your colon. It is also good for burns just rub the gel on the affected area and it won't leave any scar. I keep hitting the number "2" instead of 8. We stop at 80% Aloe Barbadensis. I made a typo in this line: "I work for an topical organic aloe cream company and this is why we stop at 20%." Missed it. It should say : "…and this is why we stop at 20%." If a mod wants to correct the original post and delete this…I'd appreciate that. Using aloe at 100% strength works more like an astringent when applied to the skin. Still very good for many things. but as a moisturizer you need to stop at 80% strength. I work for an topical organic aloe cream company and this is why we stop at 20%. The other claims are true about aloe in general applied topically. However, the most potent aloe is the Aloe Barbadensis Miller. There are 2,200 kinds of aloe. That's 400 species with 138 being the most potent. Aloe Barbadensis Miller is the most potent out of that 138. Try to use Aloe Vera. 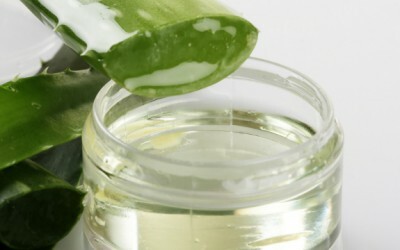 Aloe Vera contains amino acids and vitamin E, which is used for skin repair. Simply rub the Aloe Vera on the scarred tissue once a day after bathing. The younger the scar, the better the chances the aloe Vera has of removing the scar. i hope they dont realize how great it is and make it illegal to own,use,grow,etc………and then make the aloe users into a menace to society and criminals to be feared. The fact that they’re indicating the dosages in milligrams means they’re taking it orally. Has anyone found out yet if the dose is applied to the skin or ingested? Y'all are right, the article isn't very clear on that. Yes, what do we do? Eat the aloe plant juices, or rub them onto our faces, or what? How do we use this information? ALOE IS WONDERFUL. AND TOU CAN FIND IT IN THE STREETS…. I gather they ingest the dose of aloe from what I read. Is that correct?